Actually there was no lunch. 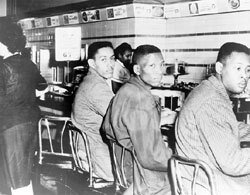 But there was plenty of heroism when four college students sat at a Greensboro NC lunch counter in February 1960. 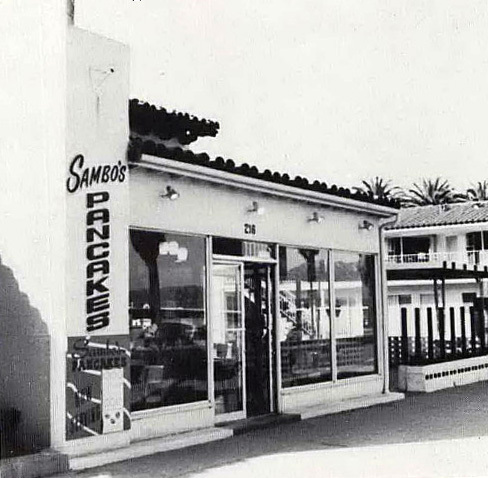 The students were told to go to the segregated snack bar in the back of the Woolworth 5 & 10 cent store, but they refused. 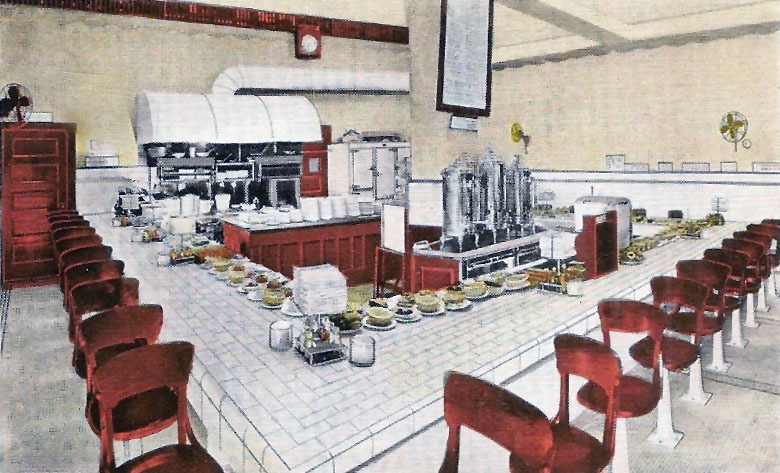 And although the Woolworth staff would not serve them, the students also refused to leave until closing time and pledged to come back every day until they won the right to eat there. 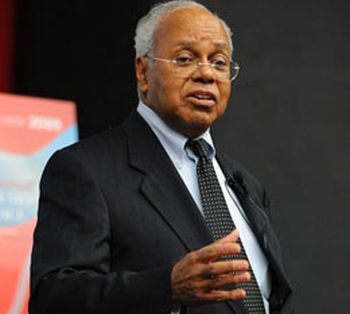 In the Q & A after his talk, a woman in the audience asked what his mother had thought about his decision to hold a sit-in at the lunch counter. He said she had been uneasy about it but had to agree that it was the right thing to do based on the values she and his father had taught him. The Greensboro protest grew as students from area schools joined with the initial four, then more student protests erupted at Woolworth stores around the South. In July 1960 Woolworth reversed its policy which had been to let local managers decide whether or not to serve Black customers based on local customs. How odd it is to read the following letter to the editor of the Greensboro Record published a few days after the 1960 sit-in began. 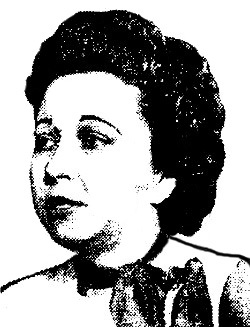 Writer Ruby Coble’s reference to the protestors’ “lack of race pride and personal pride” is totally baffling today. 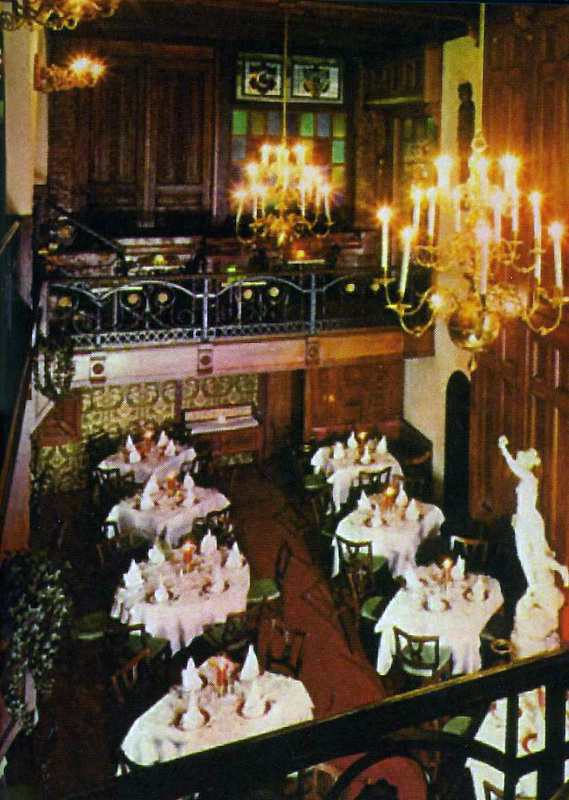 However it represents a long-held idea of the majority of white Americans in the 19th and much of the 20th centuries, that restaurants should only serve well-mannered people and that any Black people who demanded service in a white restaurant were clearly not well-mannered because they were barging in where they were not wanted. Coble was right about one thing though. It was indeed much later than she thought. This year marks the 50th anniversary of the Woolworth’s lunch counter sit-ins in Greensboro NC (pictured) which set off a wave of similar protests across the South and turned the tide against segregated eating facilities. But these were far from the first such actions. 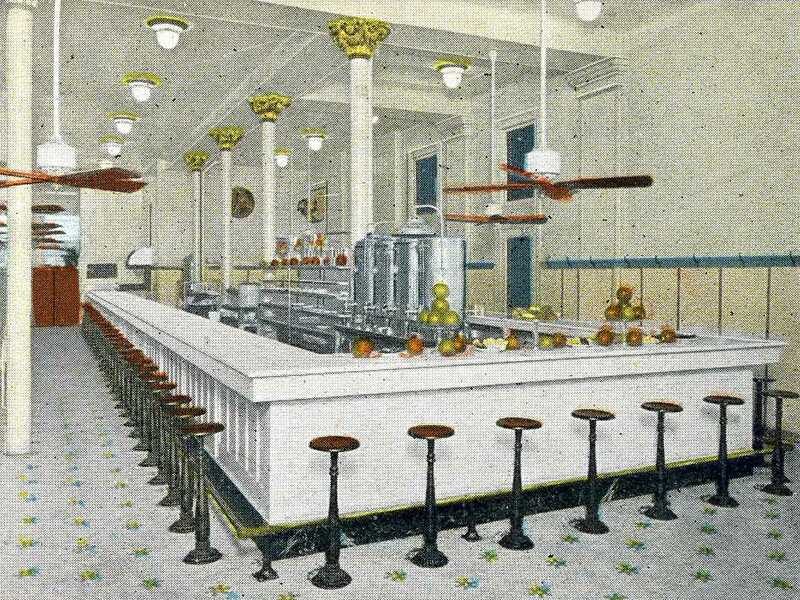 Integration of American eating places came about from a patchwork of regulations that sometimes successfully impeded discrimination and by the courageous actions of individuals and groups, black and white, who negotiated with, sued, picketed, and physically occupied restaurants beginning in the 1870s. 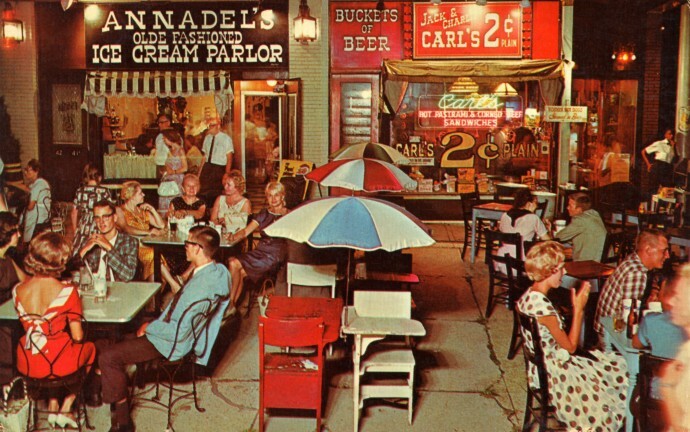 The Civil Rights Act of 1964, which offered the strongest protection against discrimination in restaurants up to then, was neither sudden nor was it evidence of the steady march of progress. A federal Civil Rights Act of 1875 was repealed by the Supreme Court just eight years later, after which Southern states enacted separate accommodations laws (Jim Crow), while other states passed or amended civil rights acts. 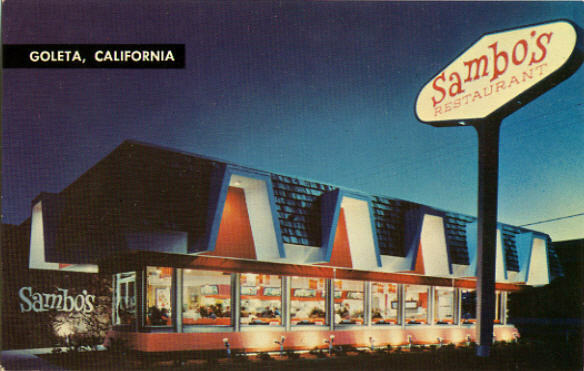 Few state civil rights laws covered eating facilities, the most controversial area of public accommodations. 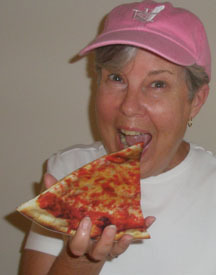 White public opinion was strongly against blacks and whites eating together in restaurants. 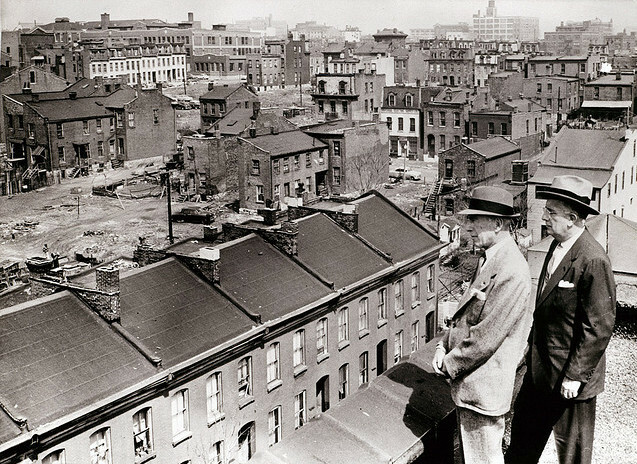 Segregationist sentiment grew stronger around the turn of the last century and again in the World War I period when many black Americans migrated North for jobs. Blacks lodged relatively few protests because the odds of winning in court were poor. Also, anyone brave enough to challenge discrimination needed enough social stature to refute the accusation of simply being a low-class ruffian. By the “Catch-22″ logic that long prevailed, any black person who went into a white-only restaurant was considered of poor character since proper black people knew better than to go where they were not wanted. 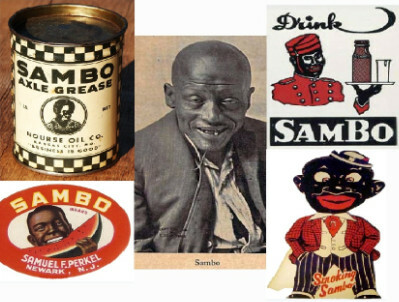 The following are examples of challenges against racism in restaurants that nevertheless occurred in the 20th century before passage of the Civil Rights Act of 1964. 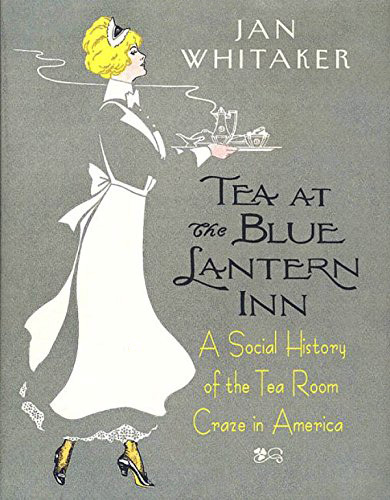 1926 Organized by a cook, the black staff of an Alice Foote MacDougall tea room in NYC unites behind a black waitress discharged for serving a black customer. They all walk out, forcing MacDougall to change her policy. 1929 The president of the United Colored Socialist party is accosted by a waitress as he and a black associate enter the Mills Restaurant in Cleveland. 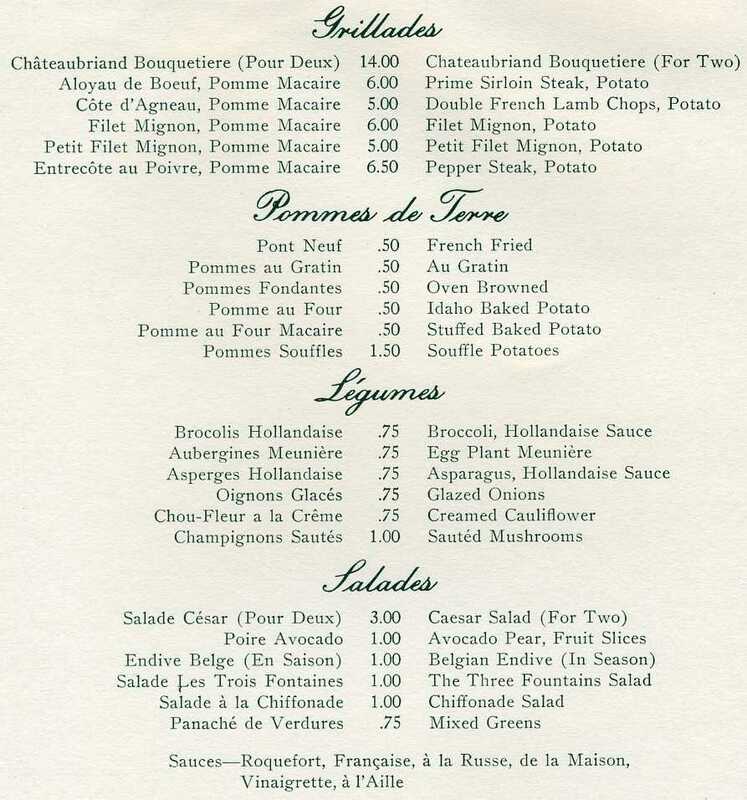 Restricted to a table on the mezzanine, they are treated hatefully and a hefty service charge is added to their bill. They win in court after refusing to give up despite six postponements. 1936 After two black New Yorkers are refused service at a restaurant in Bel Air MD, 17 bus loads of fellow (but white) WPA workers en route to a Washington conference protest. The demonstration is peaceful yet 40 state police armed with machine guns and tear gas arrive and arrest the two blacks. 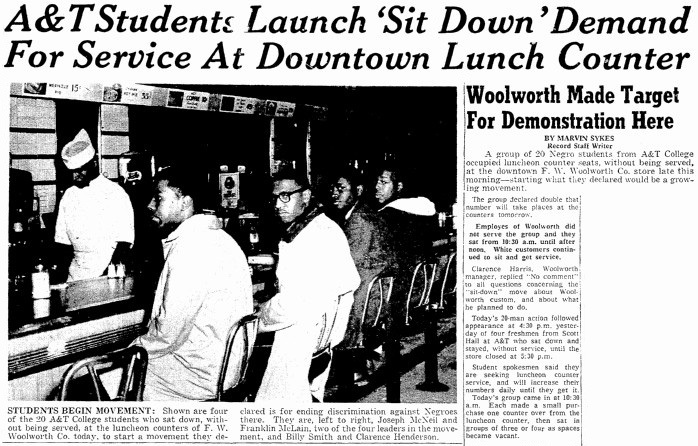 1943 Howard University students sit-in at a “white trade only” eatery in DC, a city in which few restaurants are open to people of color including the cafeteria in the Department of Justice. 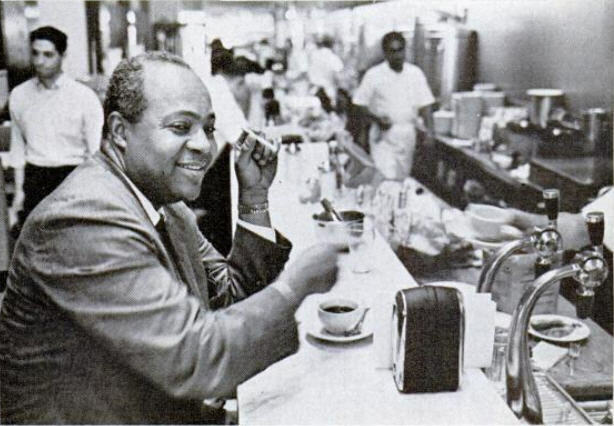 1943 The newly formed Congress of Racial Equality (CORE) initiates a sit-in at the Jack Spratt café in Chicago where one of CORE’s founders, executive director James Farmer (pictured in 1965), had been treated rudely the previous year. 1946 The United Packinghouse Workers union (CIO) files charges against Hackney’s Seafood restaurant in Atlantic City on behalf of two black delegates refused admittance and files false-arrest charges against the police department which arrested protesting union picketers. 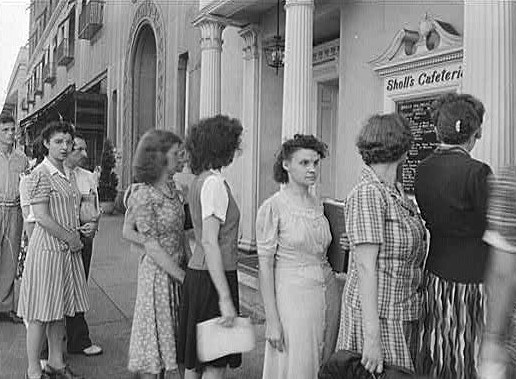 1947 After 11 bias suits against Bullock’s department store in Los Angeles fail to alter the store’s discrimination policy, CORE initiates sit-ins in the store’s tea room. Several white bystanders join the protest by informing waitresses they will wait to be served after the black patrons. 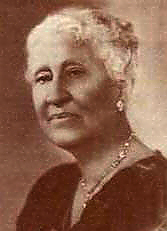 1951 Long-time civil rights activist Mary Church Terrell (pictured), in her late 80s and using a cane, joins picketers in front of Washington DC’s Hecht’s department store, which does not permit its many black customers to use its cafeteria. 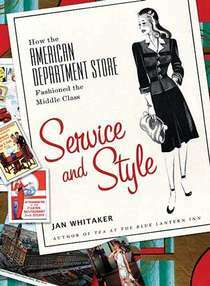 The store changes its policy in 1952. 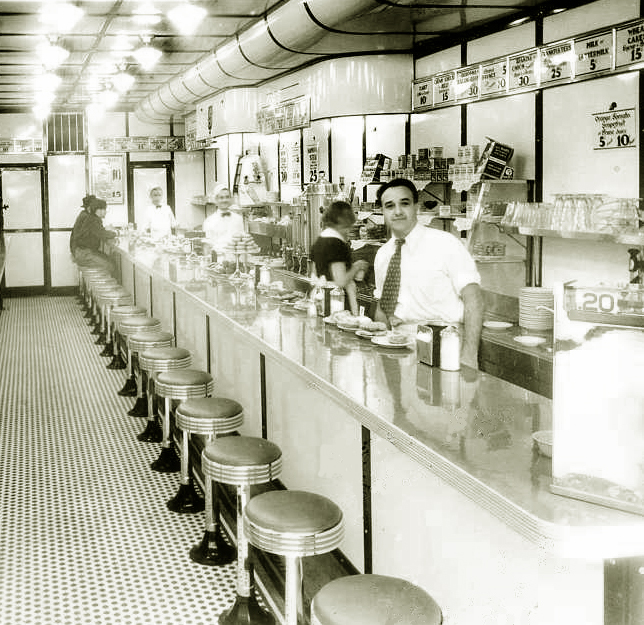 1958 Dime store lunch counters are integrated in Louisville KY after unpublicized sit-ins, but other restaurants continue to refuse to serve blacks. 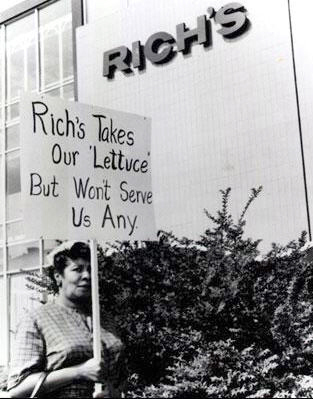 1960 Martin Luther King is among the 51 protesters arrested at the famed Magnolia Room at Rich’s Department store in Atlanta. A few months later the store changes its policy. 1964 As passage of the bill nears in the House, Ku Klux Klan members sit-in at a Krystal Hamburger stand in Atlanta to prevent SNCC (Student Nonviolent Coordinating Committee) members from occupying it. 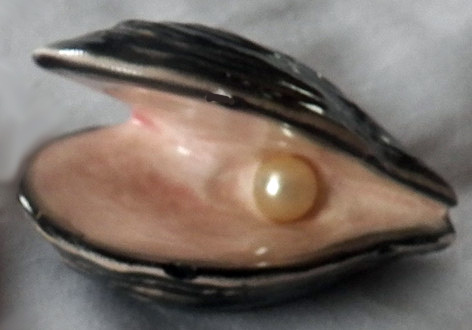 Read more about discrimination in American restaurants.